Peter Drucker famously stated that "Management is doing things right; leadership is doing the right things." Every nation, organisation or even a group requires strong and dynamic leadership to deliver great results and achieve the desired objectives. Many companies groom a set of employees with the hope that they may be able to lead the company in the future. There is always a search for the next leader who would take up the responsibility with a progressive agenda to accelerate the growth rate as well as possess a strategic mindset. A company with a robust leadership pipeline is expected to be successful in the long run as many organisations who face leadership vacuum stare at a major crisis. We have come across so many articles and reading material, which focus on the difference between managers and leaders. The general perception and belief is that leaders win followers, innovate, inspire people, take end to end responsibility, develop power with people, bring about a change, strive for effectiveness etc. Individuals who are holding senior positions in the corporate world are leaders of their respective practices, business units, departments or even sub-groups and can influence key decisions. Employees expect these leaders to exhibit their leadership skills and energise the workforce. The sad reality is that in most of the areas/sectors including governance organisations are all staring at a major leadership crisis. There is a vacuum created and no one wants to take any ownership. Today, when we observe the various situations we can clearly infer that instead of leading from the front people indulge in blame games. Sycophancy has been encouraged at all levels and diplomacy is killing the decision making process. No individual wants to take any decision in the interest of his/her team members. The system is deeply entrenched with favouritism, bias and prejudice. Leaders are also behaving like any other managers with a tinge of arrogance. Instead of speaking on behalf of their team members they make someone a scapegoat and run away by deflecting the blame on others. The quality of empathy is completely missing and no one cares about others. The trend across the sectors is that puppets and dummies are created to keep control over the proceedings. This kind of attitude wherein people want to run teams or practices with an iron fist can be detrimental to the growth prospects of an organisation. Everyone enjoys and wants a status quo. No senior official wants to fight against the system and protect the interests of his/her team members. Whenever there is a major project escalation or a failure, the team members are left to fend for themselves which really affects the morale of the contributors. It is really a sorry state of affairs that most of the people who claim to be leaders are running away from the reality and do not have the courage to swim against the tide or make key decisions supporting their team members. Most of the people at the top take credit for all the successes and do not share it with their teams but a real leader should manage failures as well. Today, the world requires leaders who can take full ownership and lead from the front whenever there is a crisis. There is a great opportunity for the budding managers to take up the challenge and change this common trend which is seen everywhere. The world needs great leaders across all fields, who have a vision and the will to succeed in protecting everyone’s interests. In 1979 SLV 3 was to be launched and Dr. Kalam was the Mission Director and his work was to put the satellite in the orbit. Counter started decrementing and suddenly before the launch computer displayed a message “Do not launch it”. After examining it was found that there was a leakage in the system but experts and scientists were of the opinion that there was sufficient fuel. 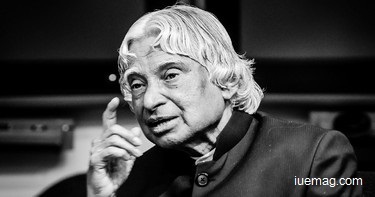 Dr. Kalam took a decision to launch the satellite but the launch was a failure as the satellite collapsed into the Bay of Bengal. The media started criticising the team for the failure and mentioned that crores of money was wasted. At that time a great leader Sri Satish Dhawan, Chairman, ISRO took Dr. Kalam along with him to address the press. Prof Dhawan took all the blame on himself and supported his team of scientists and other staff. He received all the criticism and took full ownership. He assured the media that the team is very good and in the next attempt they will surely be successful. In July 1980 when the launch was successful and everyone appreciated the efforts he asked his team members to go and conduct the press conference. This incident clearly shows that when success was achieved the leader gave full credit to the team and when failure occurred the leader took it up. This is a great example of how leaders should manage failure which showcases the qualities of an ideal leader. Live with a passion, lead from the front, and create a spark which ignites a desire to win. The nation and the world needs you – Be a real leader and bring a change!